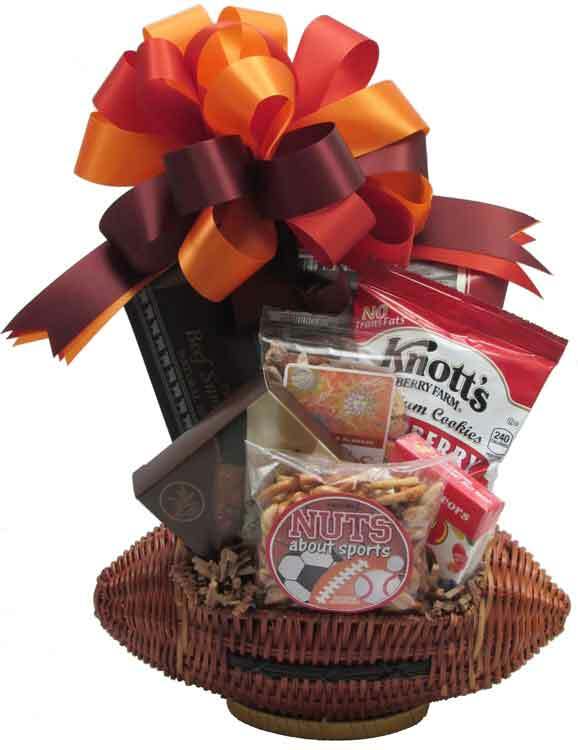 Great gift basket for that football fanatic! This Football Shaped Rattan Planter has a lid that closes so it is shaped like a football. With the lid open, it can be used as a planter (it comes with a liner). 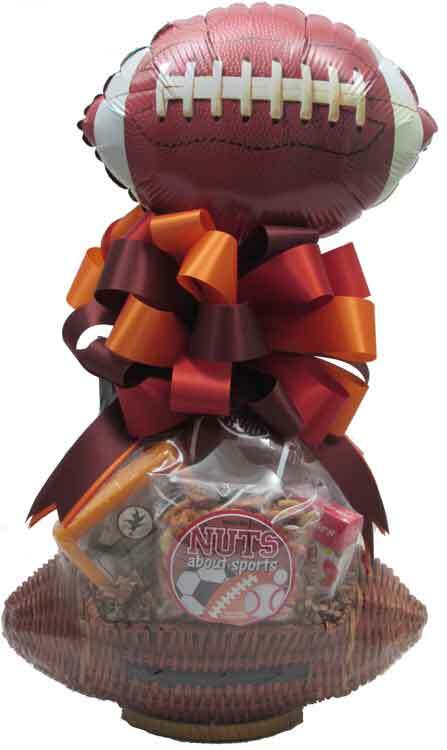 It is filled with Cheese, Snack Mix, Natural Hickory Smoked Sliced Beef Summer Sausage, Jelly Belly Jelly Beans, Nuts, Cookies, Pretzels, and a small soft Football to squeeze to release the stress when their team is behind! 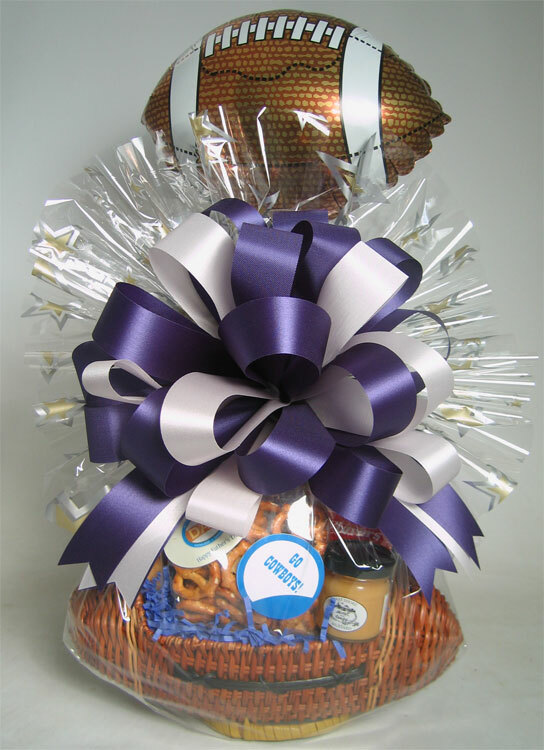 Wrapped in crisp clear cellophane and topped off with a Handmade Bow. We can do our best to use their favorite team colors if you let us know what they are! Includes a Handwritten Greeting Card. Add a football shaped air filled balloon for $2 each.